is founded in 1986 as an independent research company performing theoretical and experimental work on thermoacoustic energy conversion. In this field Aster has gained an outstanding experimental and theoretical knowledge position which makes Aster a leading partner in thermoacoustics. Characteristic for thermoacoustic systems is the lack of moving parts in the thermodynamic process which simplifies the construction and eliminate the need for maintenance. These features enables new waste and solar heat related applications not feasible today with conventional technology for technical or economic reasons. Physics behind however is quite complicated as it combines thermodynamics, acoustics, aerodynamics, heat transfer, engineering etc. 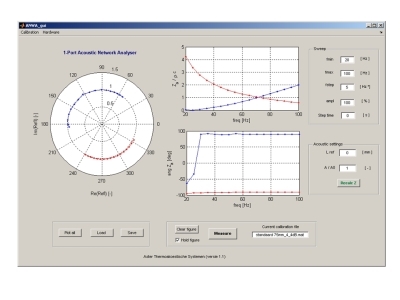 For this work Aster has developed a dedicated set of measurement tools and simulation code. In its own workshop Aster has the tools and resources to construct and test prototypes both for internal projects as well as for research under order. Since a long time Aster collaborate with national and international research institutes and universities and is involved in many thermoacoustic related projects of which some are mentioned on the project page. 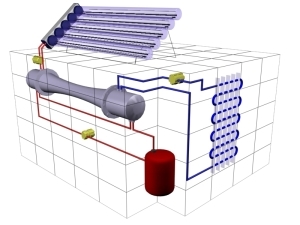 Utilizing low temperature differences from solar vacuum tube collectors or waste heat in the range 70-200 °C seems to be the most promising and commercial interesting field of applications for thermoacoustic systems. 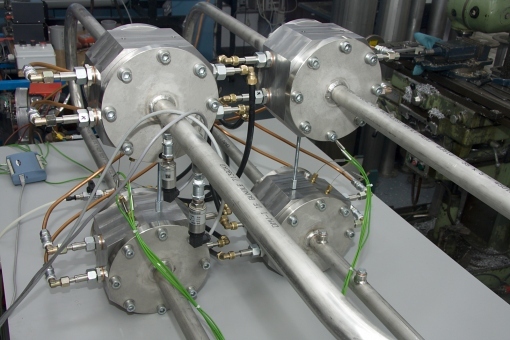 Recently a novel 4-stage “self matching” traveling wave engine is developed and tested.